Kitty just can't wait for the next Botanica hunt to start and the good news is that is it here now! 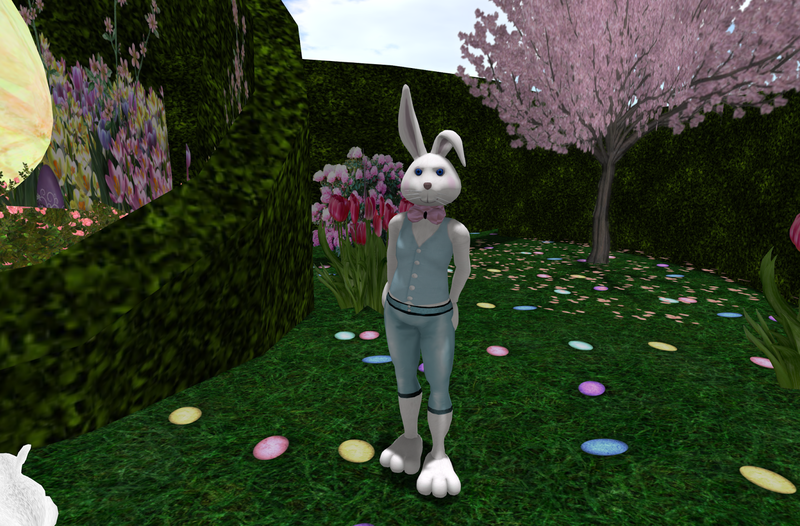 And the grad prize is in fact a full Easter Bunny avatar! There are also smaller and cuter bunnies for you to grab along the way like this fluffy one which Kitty just refuse to put away. How about a fancy yellow easter umbrella for the sunny day stroll in the park? Although it does not match Kitty's blue Kimono, the umbrella does serve its purpose on this sunny day. Whenever you are down, nothing cheers you up better than some balloons and there is some in this hunt it so happens to be. Happy Easter everyone! After all the Xmas tree we seen... how about a Easter tree? Kitty has one right in front of her house now and you are welcome to come take a look at it anytime!